Metal Storage Rack 3 inch Single Hook Increase your storage and organization space with Husky Storage, which easily assembles in minutes and is ideal for use in the garage. Accessorize the storage rack with single and double hooks suitable for hanging all varieties of tools, bags, equipment, clothing and other items up to 40 lbs. The heavy-duty steel construction provides ultimate strength and reliability, while the rugged black powder coating is durable for long term use. 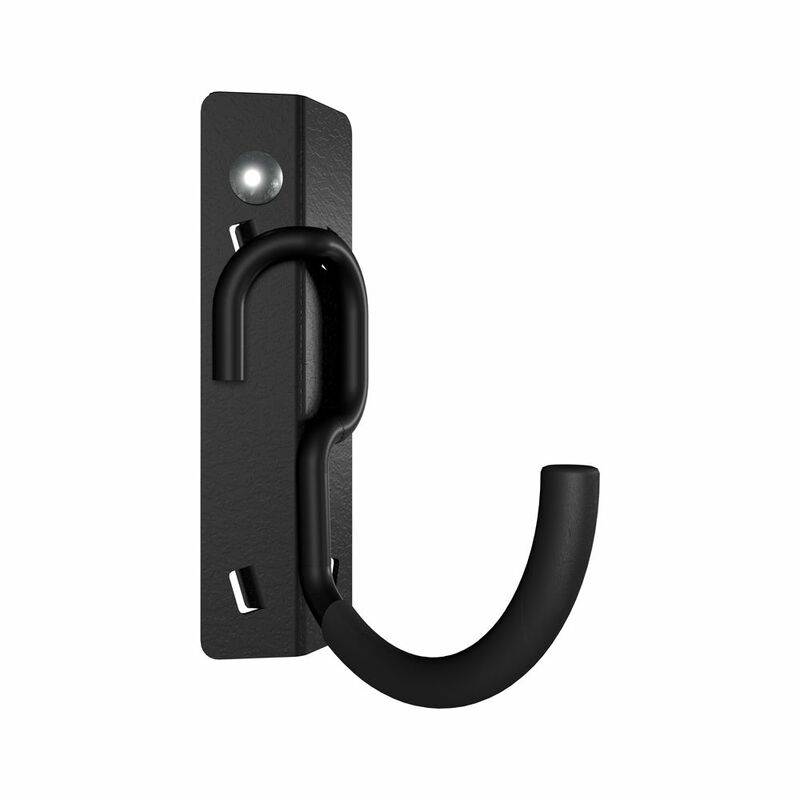 The Hooks are rubber coated to protect hanging gooods and can be placed anywhere there is room - on a hook plate, or directly on the upright, at a height of your choosing. Installs easily in seconds.